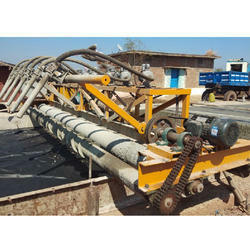 JAYEM', Concrete Paver is an efficient and fast way of making Concrete Roads with absolutely even surface. Travel Speed: 0 -16 Km. / hr. Working Speeds: 2.0 to 23 mtr. / min. Being one of the renowned firms in the industry, we are decidedly involved in providing a high-quality array of Concrete Paver Machine. Power: 174.5 hp (129.5 kW) @ 2200 rpm. 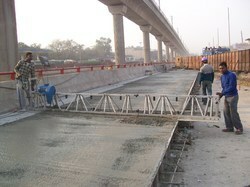 The machine can be used: Bed and Slope Concrete lining.